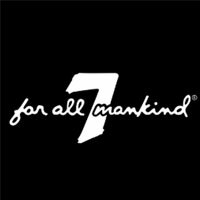 Get Free Shipping On All Orders at 7 for All Mankind. Save up to 50% Off All Women’s styles at 7forallmankind.com | Its amazing sale offer. Sign up & Receive $20 Of your First Purchase at 7 for All Mankind. Get $50 Off on Order $150 & Above Plus Free Shipping at 7forallmankind.com | Apply this Coupon Code at Shopping cart.